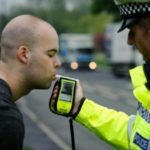 Eight people from the Brighton and Hove area have been banned from the road for drink driving – so far – during the annual summer crackdown by Sussex Police. Claire Simmons, 44, unemployed, of Sunninghill Avenue, Hangleton, was arrested for driving her Citroen C3 while over the limit in the Hove street on Friday 2 June. She had 75 micrograms of alcohol in 100 millilitres of her breath. The legal limit is 35 micrograms. She pleaded guilty to drink driving at Brighton Magistrates’ Court on Thursday 22 June. She was given a 17-month ban, fined £120 and ordered to pay £85 costs and a £30 victim surcharge, making £235 in total. Dara Honar, 33, a telecommunications engineer, of Hurst Hill, Hollingbury, was arrested in London Road, Brighton, on also Friday 2 June. He was charged with driving a new white BMW M240 with 44 micrograms of alcohol in 100ml of breath. He was banned from the road for three years after he pleaded guilty to drink driving at Brighton Magistrates’ Court on Thursday 22 June. Honar was also fined £510 and ordered to £85 costs and a £51 victim surcharge, making £646 in total. Steven Joseph, 33, a removals man, of Graham Avenue, Brighton, was arrested in Graham Avenue, Brighton, on Thursday 8 June. He was charged with driving a black Peugeot 206 with 65 micrograms of alcohol in 100ml of breath. Joseph pleaded guilty at Brighton Magistrates’ Court on Thursday 22 June where he was given a 17-month ban. He was also fined £120 and ordered to pay £85 costs and a £30 victim surcharge, making £235 in total. Benjamin Manners, 21, a student, of The Brow, Woodingdean, was arrested in Bear Road, Brighton, on Thursday 8 June and charged with drink driving in a Renault Clio. He pleaded guilty at Brighton Magistrates’ Court on Thursday 22 June to driving with 103 micrograms of alcohol in 100ml of breath. Manners was banned from driving for 23 months and ordered to carry out 120 hours of unpaid work. He was also ordered to pay £85 costs and an £85 victim surcharge, making £170 in total. Miroslaw Zurawski, 55, a roofer, of Circus Parade, New England Road, Brighton, and formerly of Whitehawk Road, Whitehawk, was arrested in London Road, Brighton, on Sunday 11 June. He was charged with driving a silver Nissan pick-up truck with 68 micrograms of alcohol in 100ml of breath – almost twice the 35 microgram legal limit. He was also charged with driving without insurance and without a valid test certificate. At Brighton Magistrates’ Court on Monday 26 June he was banned from the road for 18 months and fined £403. He was also ordered to pay £85 costs and a £40 victim surcharge, making £528 in total. Leonet Rodriguez, 43, a builder, of Netherfield Green, Woodingdean, was arrested in Warren Road, Brighton, on Sunday 11 June. He was charged with driving a Ford Transit with 65 micrograms of alcohol in 100ml of his breath. At Brighton Magistrates’ Court on Monday 26 June, Rodriguez was banned from driving for 18 months and fined £807. He was also ordered to pay £85 costs and a £80 victim surcharge, making £972 in total. Jacobo Ameijenda, 30, a chef, of Steyning Avenue, Peacehaven, was arrested in East Street, Brighton, on Saturday 10 June. He was charged with driving a Fiat Punto with 74 micrograms of alcohol in 100ml of his breath. At Brighton Magistrates’ Court on Monday 26 June, Ameijenda was banned from driving for 20 months and fined £403. He was also ordered to pay £85 costs and a £40 victim surcharge, making £528 in total. Dennis May, 66, retired, of Summersdeane, Southwick, was arrested in Old Shoreham Road, Southwick, on Sunday 18 Jun. He was charged with driving with 87 micrograms of alcohol in 100ml of his breath. At Worthing Magistrates’ Court on Tuesday (4 July), he was banned from driving for 22 months and fined £85. He was also ordered to pay £85 costs and a £30 victim surcharge, making £200 in total. Last month Siobhan Cullinane pleaded guilty to drink driving when she appeared before Brighton magistrates. Cullinane, 24, of Whitehawk Road, Whitehawk, was caught driving a Peugeot 206 in Whitehawk Road with 129 micrograms of alcohol in 100ml of her blood. The legal limit is 80 micrograms. She was banned for 12 months and fined £230. She was also ordered to pay £85 costs and a £30 victim surcharge, making £345 in total. Joseph Gardner-Wyles, 25, of Lustrells Close, Saltdean, was caught drink driving in a Smart car in Withyham Avenue, Saltdean, in March. He admitted the offence at Brighton Magistrates’ Court where the bench was told that he had 53 micrograms of alcohol in 100ml of his breath. He also admitted having had cannabis and cocaine and driving without insurance. Gardner-Wyles was banned for 38 months and fined £120. He was also ordered to pay £85 costs and a £85 victim surcharge, making £290 in total. 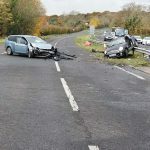 Ben Harris, 26, of Worcester Court, Windlesham Road, Brighton, was caught drink driving in a blue Peugeot 206 in Silverdale Road, in Eastbourne, in May. Harris pleaded guilty at Hastings Magistrates’ Court to having 89 micrograms of alcohol in 100ml of his breath. He was banned for 18 months and fined £120. He was also ordered to pay £85 costs and a £30 victim surcharge, making £235 in total. 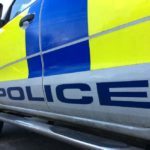 A man who was charged with drink driving in a Nissan Qashqai in Kemp Town had the case against him dismissed at Brighton Magistrates’ Court last month. Gary Lashmar, 46, of Harman Avenue, Woodford Green, Waltham Forest, Essex, was accused of having 81 micrograms of alcohol in 100ml of his breath in St George’s Road, Brighton, in March. But he was found not guilty and awarded his legal costs to be paid from central funds.